SECURE A 2019-20 SEASON TICKET MEMBERSHIP AND YOU CAN BE ONE OF THE FIRST FANS OUT OF THE GATE WITH PRIORITY TOWARDS SEATING AND SPECIAL EVENTS AT OUR FUTURE HOME. 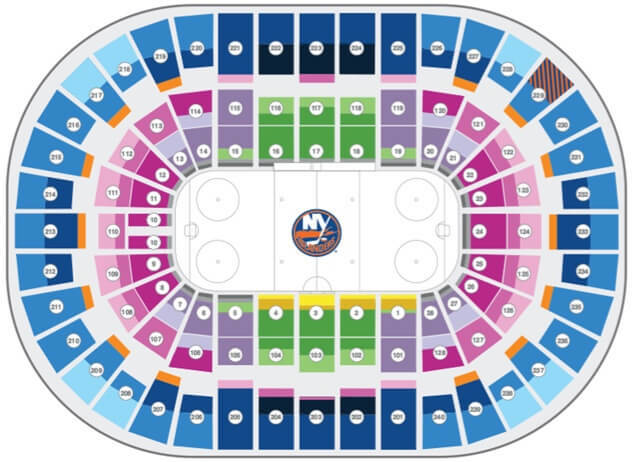 New York Islanders single-game pricing will not drop below the season ticket member variable price. Enjoy a new standard of luxury in each arena's premier hospitality area. Gain access to VIP entrances and take advantage of an elegant, all-inclusive dining experience. Member gift of your choice New for 2019-20! Choose the perfect gift for you, your family or your clients from a wide range of New York Islanders branded merchandise. Printed ticket booklet New for 2019-20! You asked, we listened. For the 2019-20 season, you can elect to receive a fully functional ticket booklet. With high-quality paper stock and custom designs, these hard copies will serve as one-of-a-kind souvenirs for members only. Exclusive member Events New for 2019-20! Get in on the game day action with invitations to exclusive events such as tailgate parties, meet & greets with alumni and more. 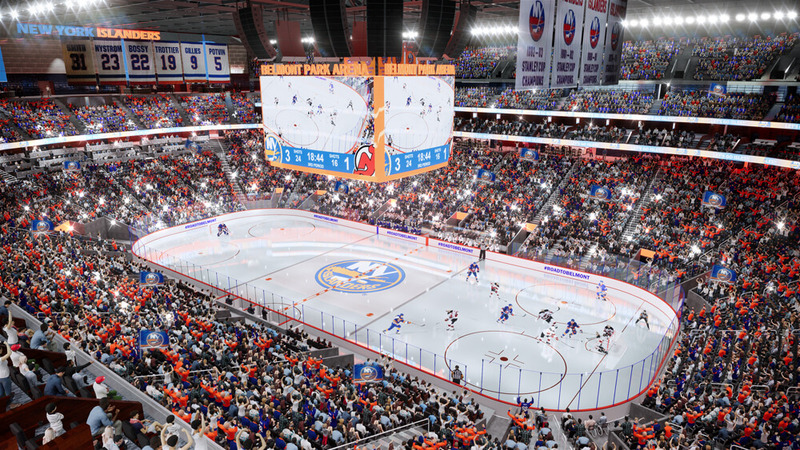 When will information be available in regards to seating priority at Belmont Park Arena? 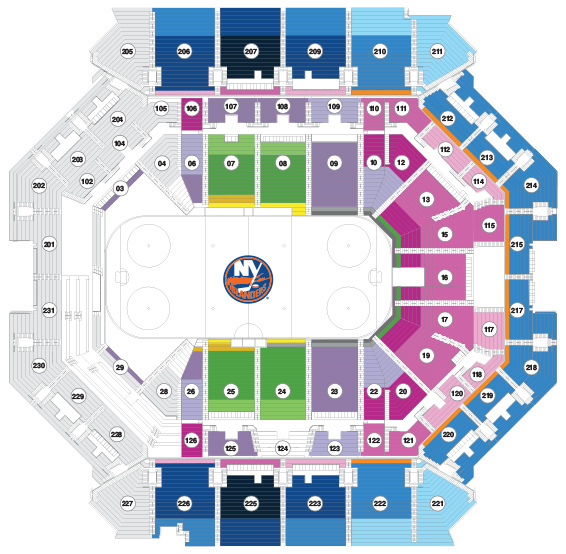 Full season ticket members will automatically receive priority for seating at Belmont Park Arena. Additional details will be provided once available. How can I find out about half season and partial plan options for the 2019-20 season? While we are currently only on sale with full season memberships, you can place a deposit to lock in priority for partial plans heading into the 2019-20 season. How will the Member Exchange Program work for the 2019-20 season? We are working on a new and improved exchange program for the 2019-20 season based on your feedback. We look forward to announcing the details for this program soon. If I elect to receive a Printed Ticket Booklet, how will those work and when will I receive my tickets? This season we are proud to bring back fully functional Printed Ticket Booklets as an exclusive benefit option for full season ticket members. Please note that members will still have access to their online account manager and mobile ticketing options in addition to Printed Ticket Booklets. Delivery details will be announced at a later date. Say Yes! to the 2019-20 Season Yes! Yes! Yes!